In searching for a theme for tonight's dinner I chose the theme of Freedom. "Why," you ask. Well, because that sounds better than the actual theme which was: stuff we had lying around. 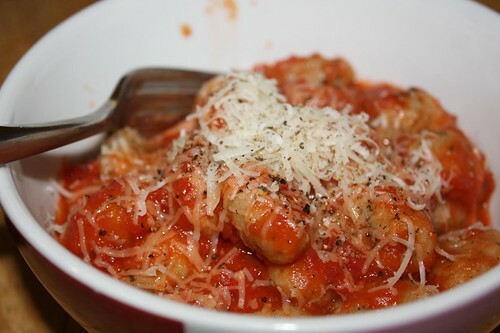 For dinner I simply cooked up a little Severino garlic basil gnocchi and topped it with some Monte Bene tomato sauce. The sauce was from Bedford Hills, NY but the pasta was from just outside of Philadelphia. As we all know Philadelphia is the city of brotherly love but also the birthplace (kinda) of freedom. And that's something we can all sink our teeth into. 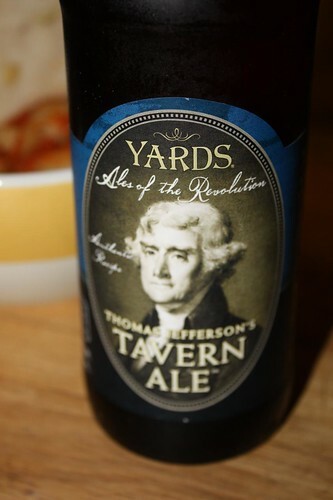 Yards Brewing Company has recently released a line of beers which are purportedly based on the personal beer recipes of the founding fathers. This evening I enjoyed a Thomas Jefferson's Tavern Ale. Apparently whilst not impregnating his slaves in Monticello, he would often partake in this beer which his wife, Martha, brewed up twice a year. At 8% alcohol this beer packs a buzz solid enough to inspire anyone to write their own Declaration of Independence. 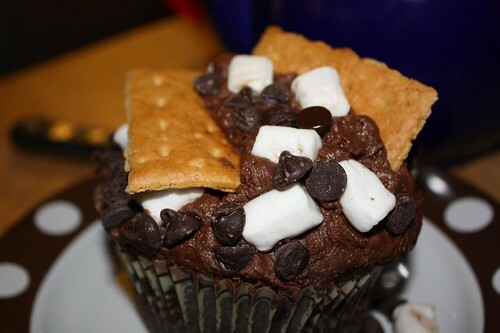 Jen was kind enough to, once again, stop by Crumbs and pick me up this delicious s'more cupcake. While topped with marshmallows, chocolate, and graham crackers it was also filled with some sort of substance reminiscent of a Hostess CupCake but probably made with substances found on planet Earth. Even if this was simply a Hostess CupCake topped with marshmallows and graham crackers it was stellar. Some day I'm going to have to go check out this place, Crumbs, and wade my way through insufferable hipsters with their stupid ironic t-shirts so that I can have another taste of these sweet, sweet cupcakes. Either that or I'll just wait for Jen to bring them home again. That may be easier.